Mea culpa for being so MIA lately. There have been many major changes taking place in my life lately (excuses, excuses 😉 ), including launching my very own organic and vegan catering company (stay tuned 🙂 ). I feel like the tectonic plates are shifting and bringing me towards a better place – a place where I actually want to be. Though the process and uncertainties I am going through are, at times, a little frightening, I keep reminding myself that without change, there is no adventure in life, and that changing is learning, which means personal growth. So there! And on that note of being back, allow me to share with you this fantabulous recipe I made while being MIA. I love falafels. So very much. However, every time I gobble up falafels at my neighbourhood Israeli restaurant, my digestive tract seems to regret eating the fried things hours later. So of course, the falafels I bring you today are baked, not fried! Oy vey, I’m making myself hungry! Add pistachios, garlic and green onion to food processor and pulse until finely ground. Add the remaining ingredients and pulse until a thick paste is obtained. 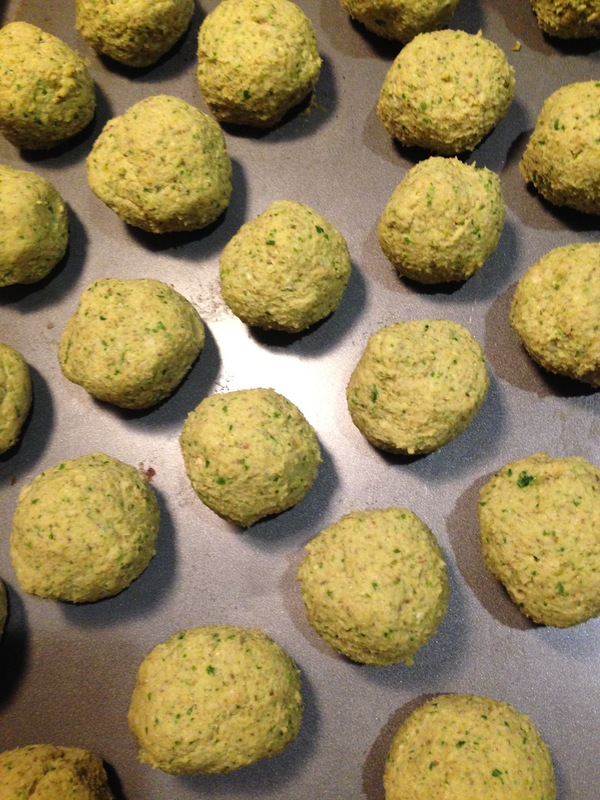 Shape into about 24 falafel balls. Roll using your hands or using two spoons. Pop into the oven for an hour. Remove from the oven after 30 minutes (or halfway through the time it takes you) to flip the balls over. Eat ’em! Serve on a bed of lettuce or on a bed of quinoa + zaatar + chopped radish + pickled turnips + cucumber + tomatoes + fresh parsley + pistachios + olive oil + salt + pepper. 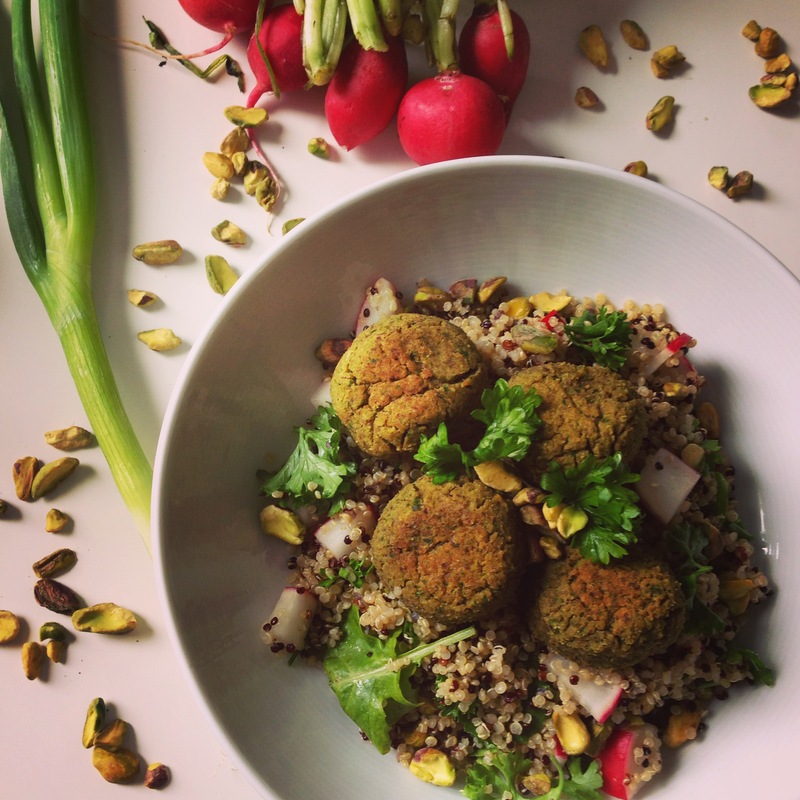 These are so good you just might falafel your chair (ok I’m trying too hard here – haha). Think I need to try these!!! So proud of you!